Dragan Dodik joins Pennian Bank as Senior Vice President and Market Executive, bringing more than 15 years of lending experience to the team. Prior to joining Pennian Bank, Dodik worked for Centric Bank as a Senior Vice President and Market Leader, and at Mid Penn Bank as Director of Commercial Real Estate Lending. Dodik recently obtained his Certified Commercial Investment Member (CCIM) designation. He serves on the Board of Directors for the Pennsylvania, Delaware and New Jersey Chapter. He was one of the 2018 winners of the Central Penn Business Journal’s Forty Under 40, a program that celebrates the region’s most accomplished young business leaders who are committed to business growth, professional excellence and community service. In his new position, Dodik will be working primarily in the Harrisburg area. 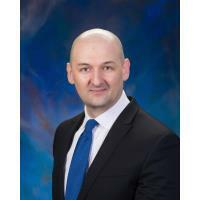 Dodik earned his Master’s in Business Administration from Shippensburg University and his Bachelor of Science in Finance and Accounting from Pennsylvania State University.